Thomas Carter’s Building Zion: The Material World of the Mormon Settlement, brings the reader into a world that is both immediately recognizable and deeply, thrillingly unfamiliar. Grounded in the methods of classic vernacular architectural investigation, documentation, and analysis, and leavened with a gentle wit and graceful, highly readable prose, Building Zion demonstrates the emphasis on primary research and fieldwork, and interpretive innovation and provocation that the Abbot Lowell Cummings Prize represents. For this, Carter's book received the prize for 2016. Through detailed, decades-long field work and documentary research of Sanpete Valley’s (Utah) built environment, Carter has uncovered tensions that undergird the 19th century Mormon world and the way those tensions shaped settlement planning, land use, resource allocation, and social relations. In taking on Mormon conceptions of utopia, community, destruction, and creation, and setting them against Western bourgeois traditions of consumption and individualism, Carter has exposed universal themes that connect to American expansion in the west and beyond. 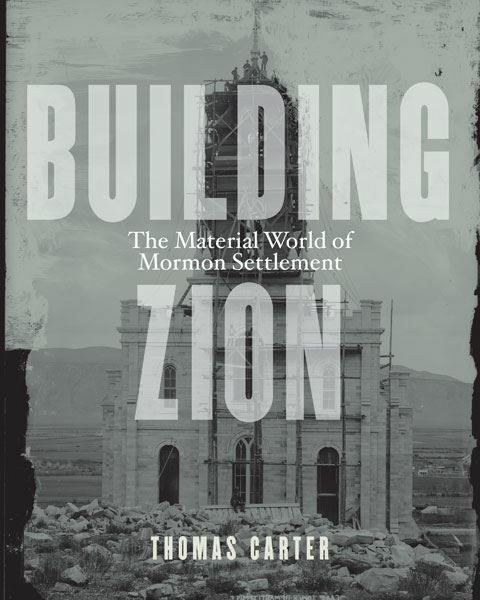 Building Zion is a work that weaves effortlessly between discussions of the ecstatic and the mundane, between meticulous, close readings of the built environment, and a deep engagement with the 19th century Mormon world view in all its varied manifestations. Building Zion accomplishes the difficult architectural balance between a highly unique Mormon religious and cultural history and broader currents of American material cultural and building history. In examining the specific and the regional, Carter has illuminated American history as a whole.